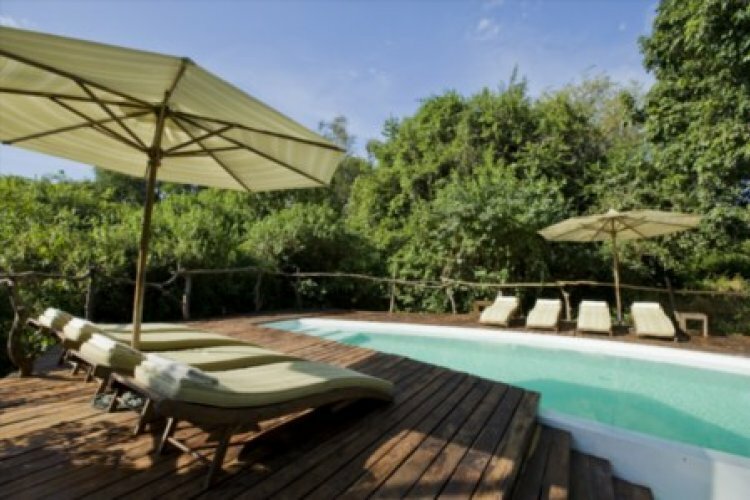 Lake Manyara Tree Lodge is set in the heart of a mahogany forest, and is the only lodge in the diverse Lake Manyara National Park in northern Tanzania. 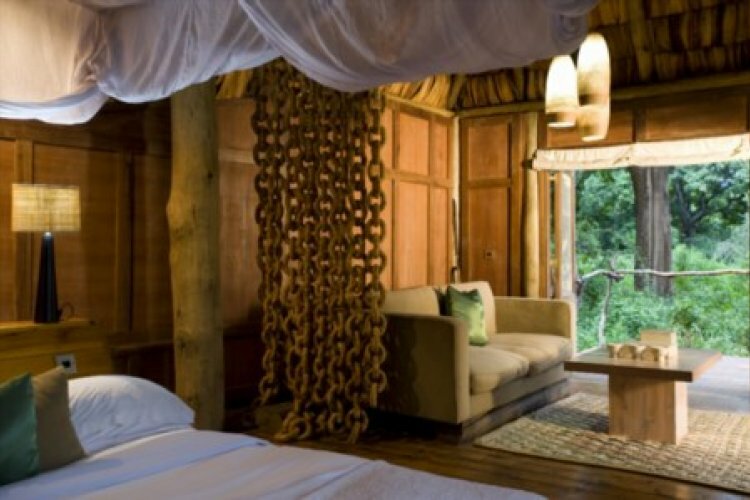 Crafted from local timber and makuti (palm fronds), Lake Manyara Tree Lodge is discreetly tucked away in an ancient mahogany forest close to the exquisite soda lake. 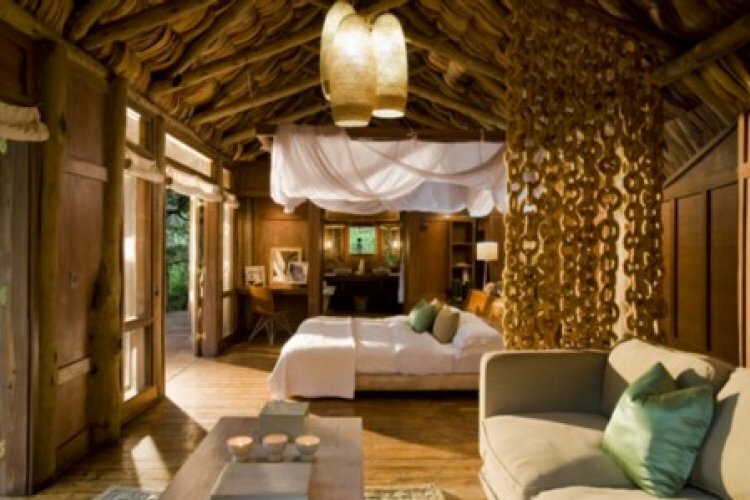 Each suite features large windows to invite the lush forest inside. The classically elegant rooms are fitted with contemporary furnishings in neutral colours and textures. 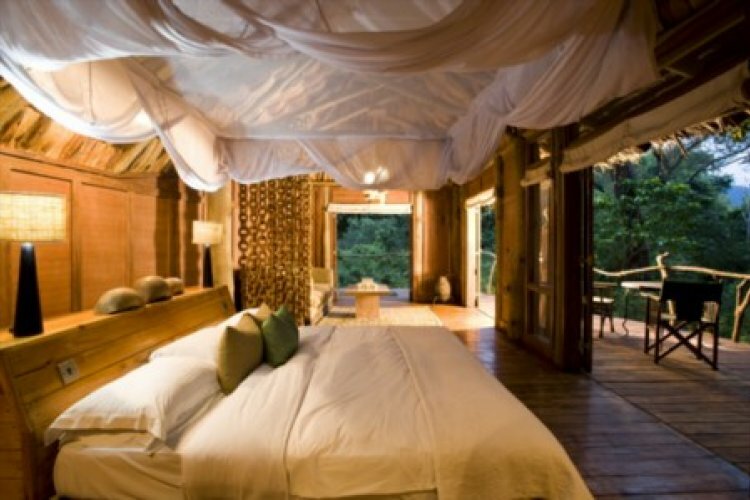 Bedrooms have overhead fans, mosquito nets and earthy, understated features. 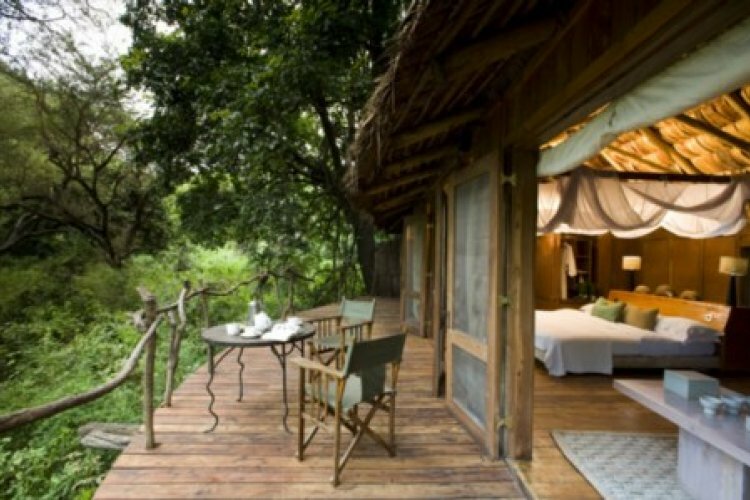 An interactive kitchen allows guests to observe the preparation of delicious Pan-African cuisine which may be enjoyed in the theatrical boma, on dining decks, or on your private viewing deck with spectacular forest views. 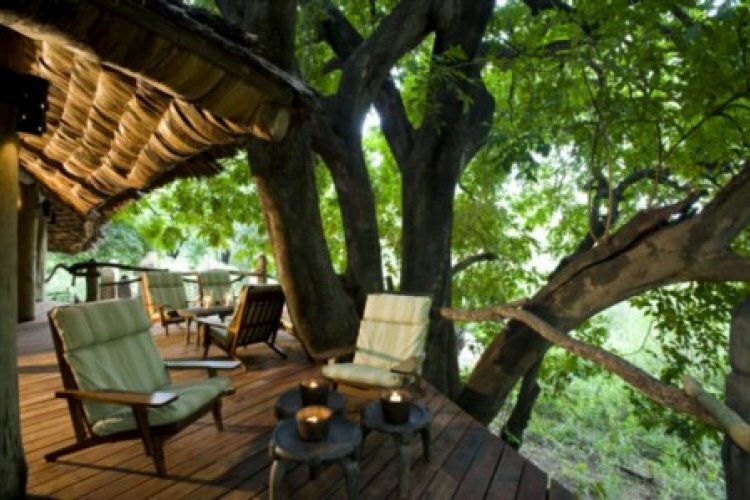 Breakfasts and picnics are also served on the lakeshore.